We love all the bags from Swoon Patterns. Interesting designs, lots of options, great instructions, a very active support group and all at great prices. 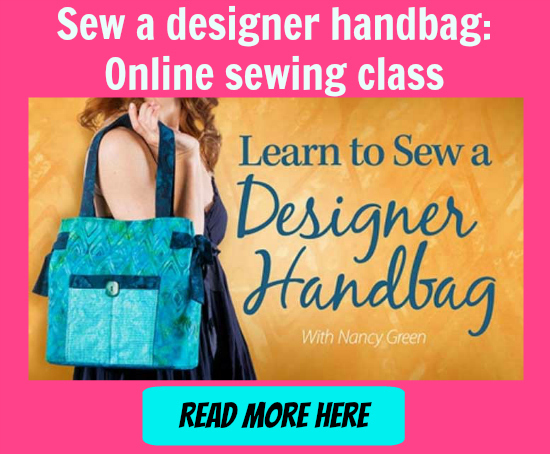 But if you haven’t tried one of them yet, why not start with one of the free Swoon bag patterns. Introducing the very popular Ethel tote bag. Ethel is nice and easy. No difficult materials or closures to worry about, and quick to sew. To make it even better, we have a full video tutorial for you, in case you have any questions along the way. This is a great starter bag, and perfect for larger scale prints or prints that you want to center on a bag, or fussy cut.